Wake up and Grill! Or smoke! 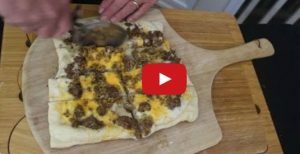 GrateTV BBQ and Grill show has been cookin’ up a few BBQ breakfast how to videos that are must see BBQ TV! Take a look and try one in the morning. Or take two and call us in the morning. Better yet just take a minute to watch then comment and subscribe to the YouTube Channel. It’s free and we’d love the support! First Off – You need to see this Breakfast Fatty How To. Maybe you’re looking for something over an OPEN FIRE or you’re camping. Here’s our tribute to the annoying orange (ask your kids). 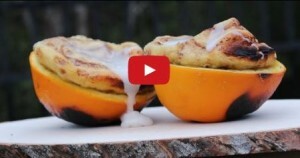 It’s our Orange Cinnamon Bun How To.